Website Pipeline customer, Lodge Cast Iron, is joining the cause to help victims of the Tennessee wildfires and is producing a special skillet stamped with the Great Smoky Mountains and the year 2016. These skillets are being offered at a discounted price and half of the proceeds from each skillet sold are being donated to the Dollywood Foundations “My People Fund”. The firefighters, first responders, the Red Cross and many other organizations have done an amazing job in their emergency response efforts thus far, and it’s important that this help continues as families try to return home and resume their lives. 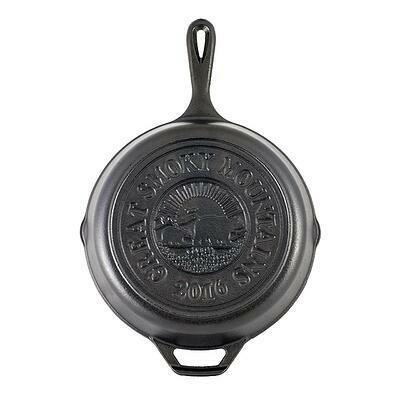 The original 882 skillets sold out on the site in a matter of minutes, therefore Lodge will be producing more to fill the thousands of online orders pouring in daily from customers hoping to join the relief effort for victims of these devastating wildfires. With over $60,000 already raised, Lodge is just one of the many organizations dedicated to this cause and looks forward to continuing their relief efforts. Click here get your 2016 Great Smoky Mountains Skillet and be a part of this awesome cause or visit https://dollywoodfoundation.org/ to learn more about the “My People Fund”.